on the label Celebration Recordings, established in the year 2000. The CDs and related costs are entirely underwritten. 100% of your donation benefits the 501(c)3 organization directly. 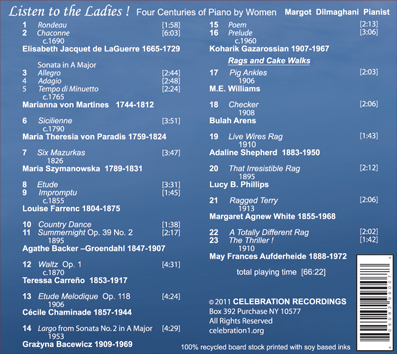 offers Classical music CDs benefitting grass-roots organizations addressing global crises. We're glad for your support of this music activism!